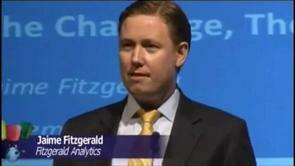 Last year Jaime Fitzgerald agreed to write a book based on the methodology used by Fitzgerald Analytics, the consultancy he founded nearly 8 years ago. The book will be published by Elsevier, under their Morgan Kaufmann imprint. Fitzgerald's framework (The Data to Dollars Value Chain™) and the associated methodology and toolkit brings structure and efficiency to the messy work of turning data into results, helping teams plan and execute more successful projects. Keep reading for an introduction to the book what makes it unique. For many organizations, data has become the ultimate intangible asset. In raw form, it is useless, yet when used well it becomes priceless. This book is about the practical, specific, step-by-step process by which data is transformed into concrete value for organizations of all sizes and types. Unfortunately, relatively few analytics projects, teams, and technology investments achieve their full potential. When analytics projects go well, the results are extraordinary. Existing businesses have transformed themselves using analytics, new businesses models have been built on analytics and innovators are using analytics to achieve social goals including saving lives, improving healthcare, and empowering the poor. Unfortunately, the “dirty secret” is that most analytics projects fail to achieve their potential. This book is a practical guide to creating successful analytics projects, teams, and ongoing initiatives. It contains all the components of the process, methods, and templates used by Fitzgerald Analytics to help dozens of clients unlock millions of dollars in results. The benefit of the approach we share in this book is to “reduce the barrier to benefit” from analytics, enabling teams to get more from their analytics effort despite inevitable constraints in budgets, staff talent and experience, knowledge, data quality and availability, and even political barriers within organizations. 1. Unique Framework Addressing a Critical Barrier. Unlike most books which focus on one or more parts of journey from raw data to concrete results, this book provides map to the entire trip. What we call the Data to Dollars™ Value Chain is a complex, cross-functional process involving hundreds of steps. Without a structured framework, roadmap, and toolkit, many analytic efforts fail. Our framework helps executives, practitioners, and stakeholders from all departments identify opportunities, decide how to capitalize on them, plan, collaborate, execute, and repeat. 2. Practical Knowledge You Can Use: This book is not focused on narrative, storytelling, or inspiring case studies. Instead, it is focused on transferring knowledge the reader can use to improve their own projects, careers, and organizations by using data, analytics, and technology to enhance results. 3. Practical Tools and Processes: The books contents and associated templates will make it unusually feasible for readers to apply our framework, use the methodologies, and adopt the process we share in the book. The book will make this easier by including illustrated processes, customizable templates, and detailed instructions, both in the book and via electronic files which will accompany the book. 4. Useful to organizations regardless of size, sector, or geography. The concepts, best practices, methodologies, and templates in this book can be used by organizations across society, including small and large businesses, government, health care, domestic non-profits, social-entrepreneurs, and international NGOs. This is possible because while goals and resources vary, our structured process allows better planning and execution for any goal, as long as the organization knows what their goals are.